Our Decaffeinated English Breakfast tea is processed using the CO2 Process. The advantage of this decaffeination process is that no chemical solvents are used to remove the caffeine. Also, using the naturally occurring CO2 in a circulation process which carefully uses high pressure and temperature to extract the caffeine, the origin distinct character of the tea is retained in the cup. 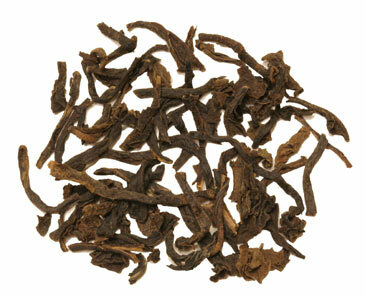 This is a classic blend of Sri Lanka Ceylon flowery pekoe (FOP) black tea. Although usually served in the morning, it is the perfect refreshing and invigorating tea for any time of the day. When brewed the English Breakfast produces a bright, full bodied, and amber tea. It is especially enticing with milk and sugar. Free shipping with purchase over $60. • Try our English Favorite Tea Sampler. A Great Value! • Try our Decaf Tea Sampler. A Great Value! Delicious taste in a decaf tea. Great any time of day. I am having to move to decaf teas for health reasons. My experience with decaf tea has been abysmal to say the least (flat taste, no flavor). I was pleasantly surprised by this tea! It has a good depth of flavor and is satisfying to drink. I will surely be buying this again. I just ordered two other decaf teas from Enjoying Tea to try them out too. I am highly sensitive to caffeine after 4pm - which just happens to be teatime!!! There are not many decaf teas that are satisfying - until i discovered this! It is full bodied and rich! i am so happy to have discovered this tea and it is my evening go-to tea! Nothing lost in the decaffeination process with this tea. English Breakfast is my go to tea. Now I can have it at night as well, heavenly. Good decaf is very hard to find. I am so happy to find it. Perfect, fresh and brews up wonderfully. I love this tea. I drink 95% decaf tea, and this is the best I have had. 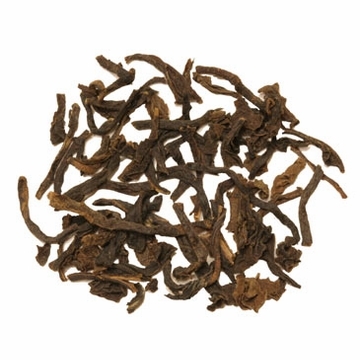 It has a bold flavor, and is delicious either early in the morning or for a late night cup of tea. This is a good decaffeinated tea, wonderful for a cold period where you don't need caffeine. However, it can develop a strong taste very quickly if it's allowed to steep too long. I love the flavor in this tea!